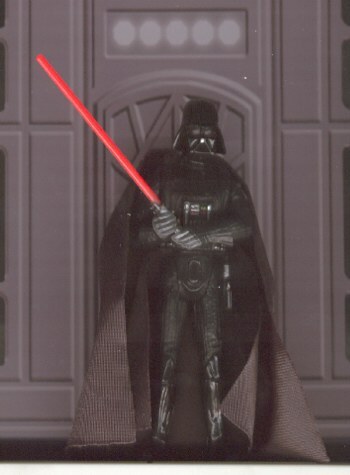 Bespin Vader is made from comtech Vader head, chest, pelvis, legs and capes; and Dagobah Vader arms. I cut the arm pegs off each arms and glued the pegs from comtech Vader to the Dagobah Vader arms. I did not paint the arms, because you really cannot tell they are translucent.